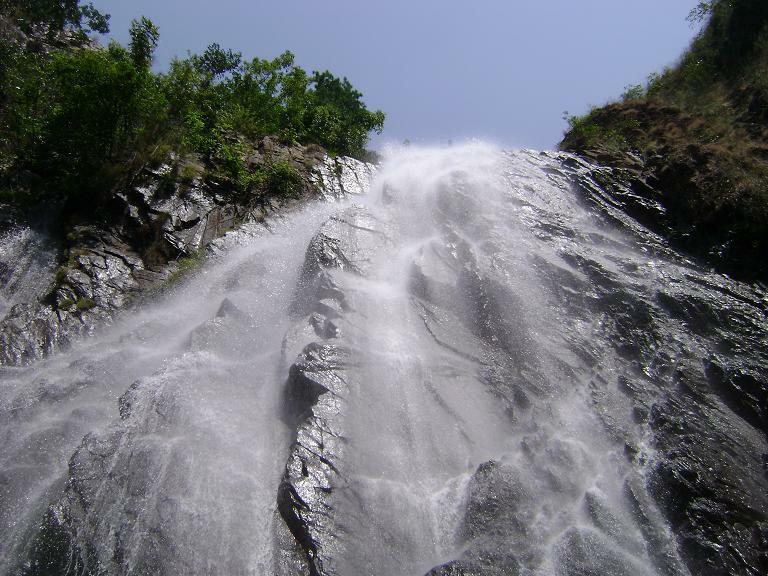 The Pradhanpat Falls is located at a distance of 100 Kilometers from Sambalpur and also at a reasonable distance from the city of Deogarh. The Pradhanpat Falls is a picturesque waterfall which is surrounded by some of the rarest scenic sights of nature which makes it one of the most beautiful waterfalls of Orissa. 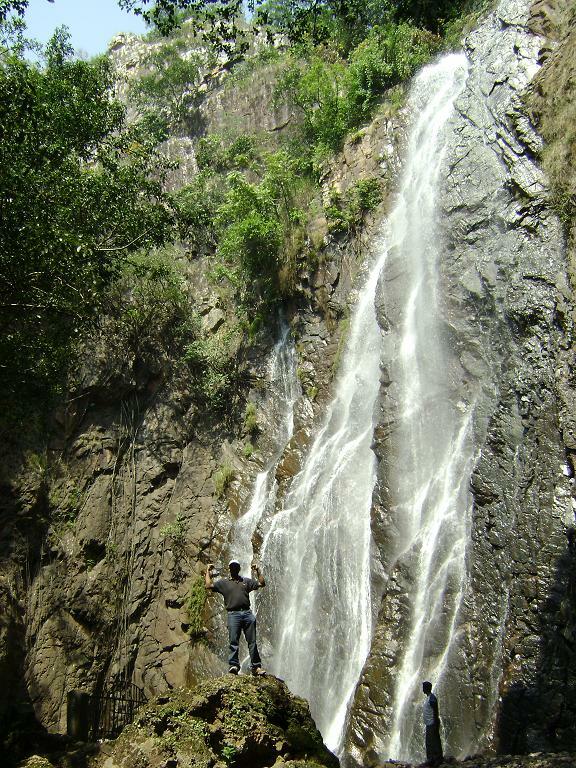 With rolling hill and green woods creating the backdrop, the Pradhanpat Falls cascades down like a stream of colors. 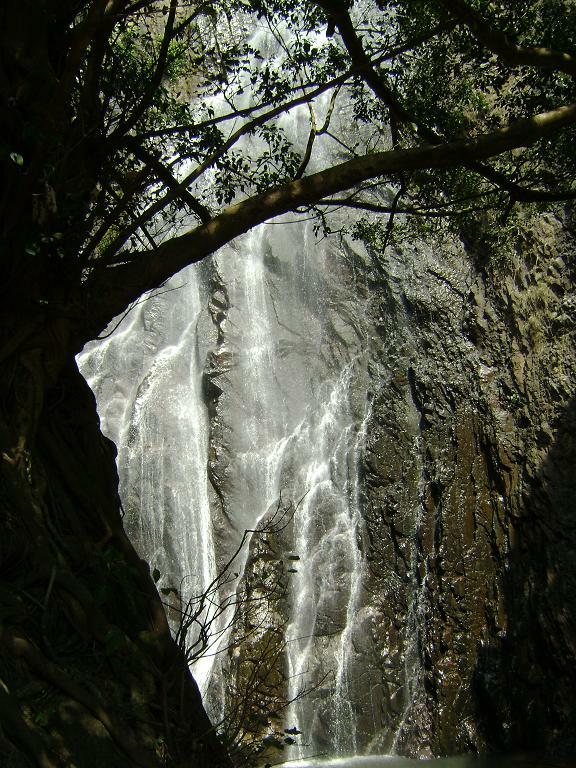 A treat for the eyes, the Pradhanpat Falls is one of the greatest treasures of nature. There are two guest houses near the Pradhanpat Falls, the Basanta Nivas and Lalita Basanta and they are the perfect places from where the beauty and charm of the Pradhanpat Falls can be enjoyed most intimately. 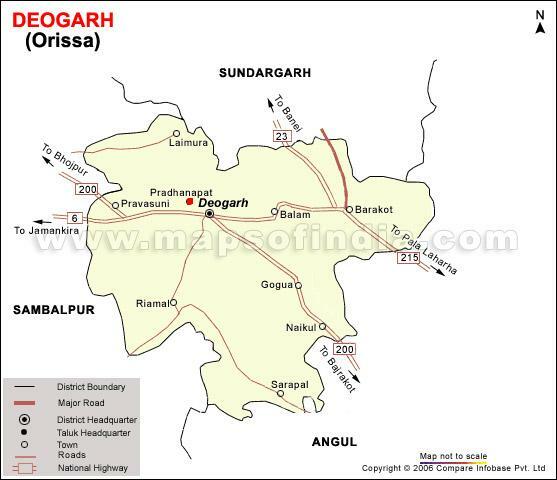 A map of Deogarh district (Pradhanpat indicated as a red dot). Entry filed under: Deogarh, Deogarh-Pradhanpat, Industries and mineral resources, News in pictures, Pradhanpat waterfall, Region watch, Tourism Zones, Water Resources.